Halo fans haven’t had a new game since 2015’s Halo 5: Guardians, and, unfortunately, the next game in the series won’t be here for some time yet. 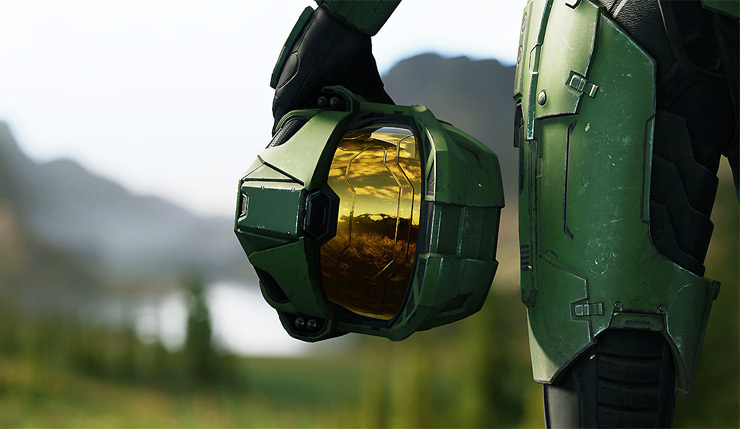 Halo Infinite has been announced, but the game is currently without a release date – it likely won’t arrive until 2020, at the earliest. So, what’s the holdup exactly? Halo games used to come out on a pretty regular “one every three years” schedule. “The Halo engine is a very technical, engineering-focused engine — it’s super-hard for creatives to work in. We promised the team [after Halo 4] that we would do the work on the tools and pipeline for Halo 5, so it wasn’t such a challenging environment to develop in. Best laid plans — we didn’t do that. The team, rightfully so, called us on it. Interestingly, Ross admitted 343 and Microsoft considered making a second original Xbox One Halo game, a ‘Halo 5.5,’ but ultimately scrapped the plans. So, when will we learn more about Halo Infinite? Well, Ross did promise they’ll be showing off the possibilities of the game’s new Slipstream Engine at E3 2019. Ross was also rather evasive when asked about Battle Royale, saying they “have conversations all the time” about the latest trends and that they have a sandbox where they’re testing new ideas. Hmmm! Sounds like E3 could be eventful for Halo fans. I suggest you check out IGN’s full interview with Ross if you’ve got an hour to spare, as they touch on her early career, the issues with Halo 5’s story and the Master Chief Collection, and more. Halo Infinite has been announced for PC and Xbox One.